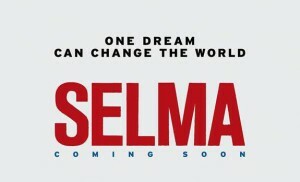 HOLLYWOOD, CA (January 14, 2015) – An additional five cities have joined the massive national campaign by African American business leaders to raise funds for free student admission to the Golden Globe-winning film “SELMA,” expanding the unprecedented movement to a total of 13 cities, nationwide. Following the lead of a team of African-American business leaders in New York and across the U.S., funds have been established in Chicago, Dallas, New Orleans, Oakland/San Francisco Bay Area and Washington D.C. African-American business leaders in these cities – along with organizers in Boston, Nashville, New Jersey, New York, Philadelphia, San Francisco, Sarasota, FL and Westchester – have created programs that will allow students in these locations to see “SELMA” for free at participating theaters. The efforts are inspired by the success of the program in New York City, in which 27 African-American business leaders created a fund for 27,000 of the city’s 7th, 8th and 9th grade students to see the film for free. Due to the overwhelming demand, the New York City effort sold out in the very first weekend and was expanded to 75,000 tickets. In Chicago, the leaders have developed a program for students of After School Matters, a nonprofit organization that provides out-of-school programming opportunities for Chicago teens. Teens that participate in After School Matters will be sent an invitation to receive a complimentary ticket to see “SELMA” at one of the participating theaters. The students will provide their student ID and the After School Matters ticket at participating Chicago theaters. The After School Matters program in Chicago will begin on Friday, January 16th. In the other cities, 7th, 8th and 9th grade students who present a current student ID or report card at the box office of any participating theater will receive free admission while tickets last. Business leaders in additional cities are currently organizing commitments from community organizations. Those cities will be announced Friday, January 16th. “Thanks to Charles Phillips and Bill Lewis, whose vision and encouragement lead to this momentous event, students all around the country will have the opportunity to know Dr. King’s historic journey towards civil rights,” said Alves. “New Orleans is proud to be a part of this remarkable movement to share this important and timely piece of American history,” said West. Toni Cook Bush, News Corporation, and DeDe Lea, Executive Vice President, Global Government Relations, Viacom, in Washington D.C. 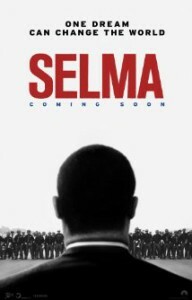 Directed by Ava DuVernay and starring David Oyelowo as Martin Luther King Jr., “SELMA” earned a Golden Globe Award for Best Song for “Glory” by Common and John Legend, and was nominated for Best Picture, Best Actor and Best Director. “SELMA” is the story of a movement. The film chronicles the tumultuous three-month period in 1965, when Dr. Martin Luther King, Jr. led a dangerous campaign to secure equal voting rights in the face of violent opposition. The epic march from Selma to Montgomery culminated in President Johnson (Tom Wilkinson) signing the Voting Rights Act of 1965, one of the most significant victories for the civil rights movement. Director Ava DuVernay’s “SELMA” tells the story of how the revered leader and visionary Dr. Martin Luther King Jr. (David Oyelowo) and his brothers and sisters in the movement prompted change that forever altered history. Next ArticleMORTDECAI Opens Next Week!